Product prices and availability are accurate as of 2019-04-12 06:03:21 EDT and are subject to change. Any price and availability information displayed on http://www.amazon.com/ at the time of purchase will apply to the purchase of this product. 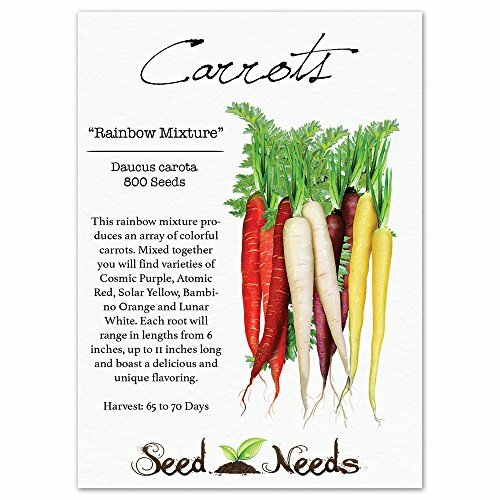 Grow Rainbow Blended Carrots from fresh Daucus carota seeds. This rainbow mixture produces an array of colorful carrots. Mixed together you will find varieties of Cosmic Purple, Atomic Red, Solar Yellow, Bambino Orange and Lunar White. Each of the roots will range in lengths from 6 inches, up to 11 inches long and boast a delicious and unique flavoring. Most varieties within this carrot mixture will be ready for harvesting in about 60 to 65 days after first sprouts appear. Carrots, believe it or not, weren't always orange. 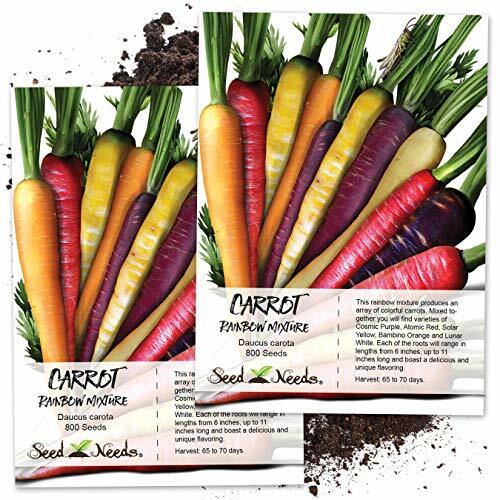 Some of the most popular picks and more common picks in earlier days came in an array of colors such as Red (Atomic Carrot), Purple (Cosmic Carrot), Yellow (Solar Carrot) & White (Lunar Carrot). But as time carried on, orange became the more popular pick. 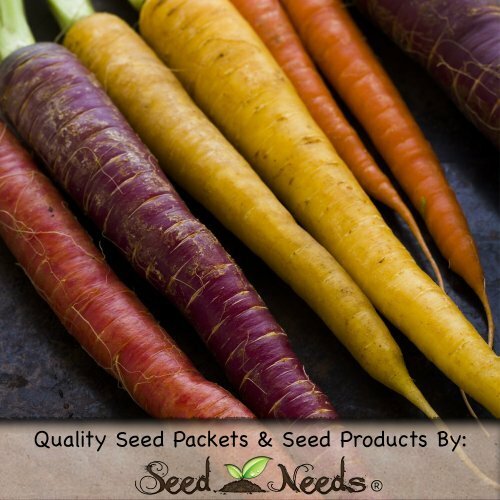 Quality Carrot seeds packaged by Seed Needs. Intended for the current and the following growing season. Packets are 3.25" wide by 4.50" tall and come with a full colored illustration on the front side, as well as detailed sowing instructions on the reverse. This rainbow mixture produces an array of colorful carrots. Mixed together you will find varieties of Cosmic Purple, Atomic Red, Solar Yellow, Bambino Orange and Lunar White. Each of the roots will range in lengths from 6 inches, up to 11 inches long and boast a delicious and unique flavoring. Most varieties within this carrot mixture will be ready for harvesting in about 60 to 65 days after first sprouts appear. 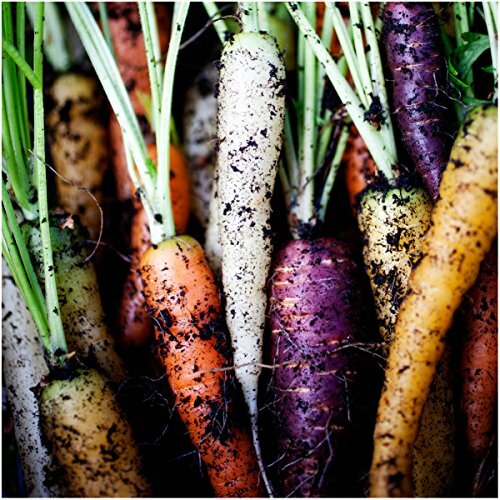 Carrots, believe it or not, weren't always orange. 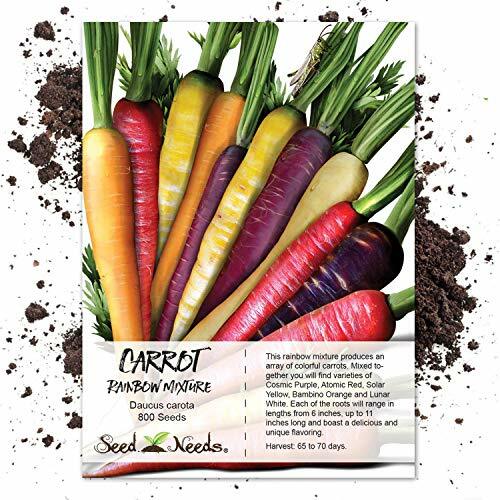 Some of the most popular picks and more common picks in earlier days came in an array of colors such as Red (Atomic Carrot), Purple (Cosmic Carrot), Yellow (Solar Carrot) & White (Lunar Carrot). But as time carried on, orange became the more popular pick. 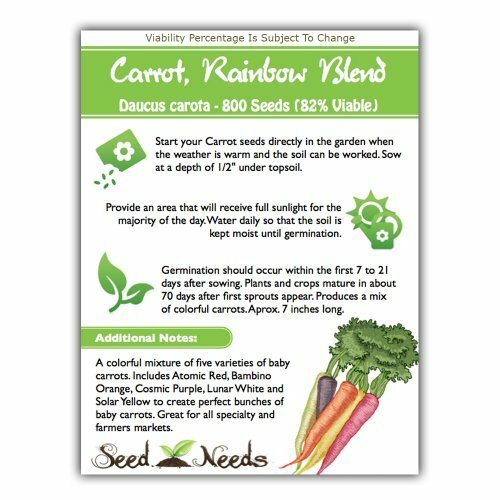 All Carrot seeds sold by Seed Needs are Non-GMO based seed products and are intended for the current & the following growing season. All seeds are produced from open pollinated plants, stored in a temperature controlled facility and constantly moved out due to popularity.